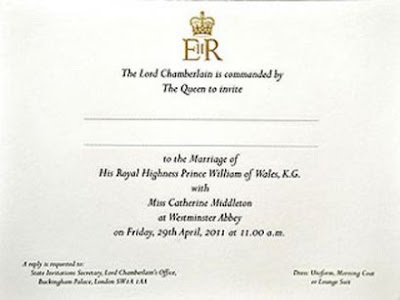 The Royal invitation has finally gone public! I love the classic look of an engraved invitation with gilded edges. However, I'm surprised at the lack of formality in the date and time. But I love that a reply card isn't included. Guests must RSVP on their own stationary. Did you know that was the tradition many years ago?